This is a strange sewing machine it looks as if someone decided to re-design the sewing machine. The machine recesses into the box nicely. 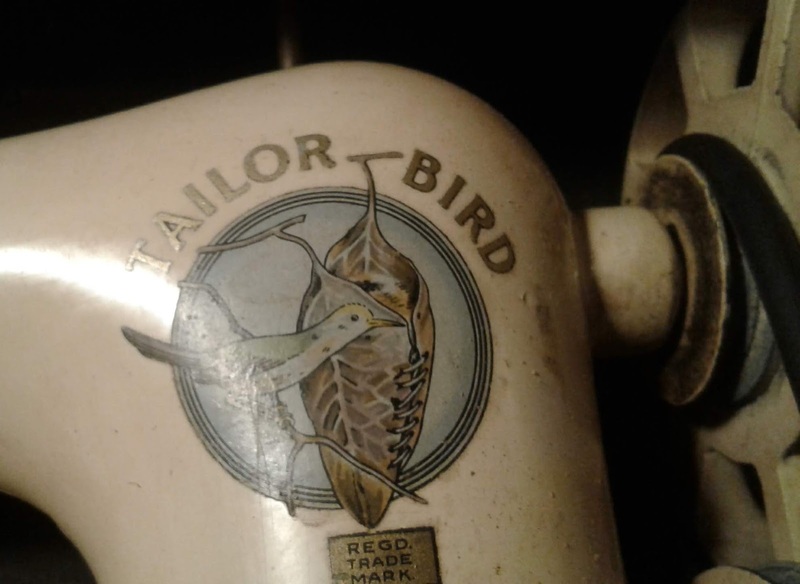 The Tailor Bird Sewing Machine Company Ltd, was established at Richborough Hall, Kent around 1950 but ceased production in May 1952. 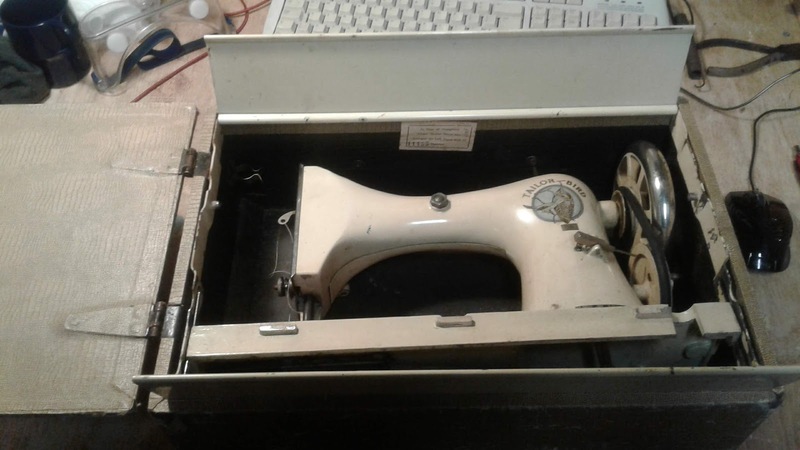 Still some 40,000 machines were manufactured, according to the Sewing machine museum website. 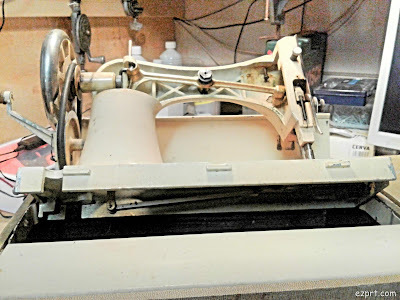 Otherwise the machine was built much lighter than the usual machines. Here the rear cover is removed. The body is some kind of cast alloy, but rather thin. The upper and lower works are connected by a rubber band. But it works! This machine also uses a walking foot! Very unusual.